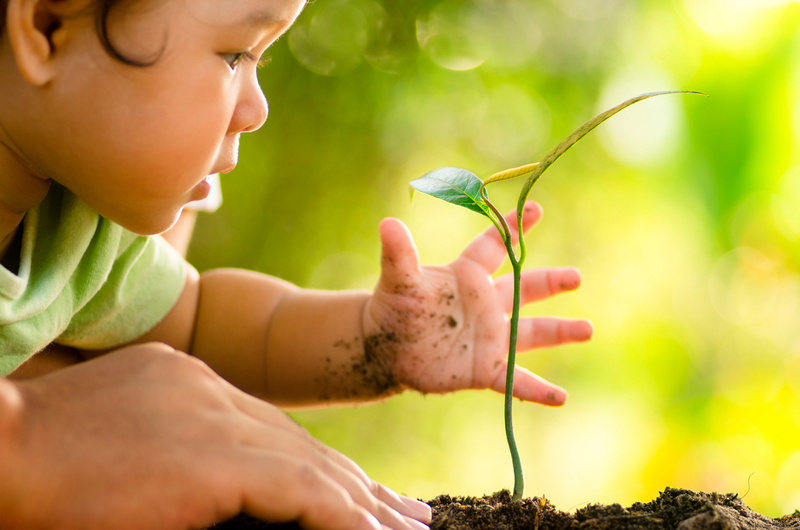 Arbor Day is a special day designated to celebrate trees and to plant trees. 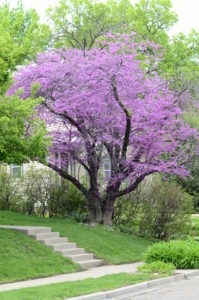 In and around Richmond, thousands of students have been learning about trees and will get a free redbud tree seedling from Dominion Energy’s Project Plant It! environmental education program. The program began in 2007 as a pilot program in the City of Richmond, Henrico County, and Chesterfield County. Since then, it has branched out to encompass all areas served by Dominion Energy, including several states out west such as Idaho, Wyoming, Utah and Colorado. About 60,000 students are enrolled in the program in 2018, representing a 20 percent increase over the number participating in 2017. Another huge milestone in 2018 is that Project Plant It! has distributed 500,000 tree seedlings from 2007-2018. According to experts from the Virginia Department of Forestry, this equates to 1,250 acres of new forest if all tree seedlings are planted and grow to maturity. Trees are real-world teachers for lessons in biology, chemistry, earth science and life science, along with math, social studies and language arts. This year, a NEW lesson plan about conservation of natural resources has been added to the Educator’s Guide, available for free downloading at projectplantit.com along with brain-building games and videos, fun outdoor activities and ideas for interactive learning about trees. Below is a list showing the variety of activities included in the new Conservation Counts lesson plan. Students can collaborate in teams to gain a deeper appreciation for the earth’s renewable and non-renewable natural resources, understand the importance of using natural resources wisely for long-term sustainability, and take ownership of the cause/effect that humans play in impacting the future. Research natural resources, such as water, oil, natural gas, coal, and forests. Determine if the natural resource is renewable or non-renewable, and why. Learn about the source of that resource, why it is important to the sustainability of human and animal life, how this resource is replenished or limited or misused, how it can be conserved for future generations. Create an action plan for the future of the natural resource. The action plan could be a 10-step strategy or a graphic organizer/visual display of the important relationships that will ensure resource sustainability. If possible, invite an expert from an energy company, a forestry department or an oil/natural gas company to visit the class and share information about that resource. Create a PowerPoint presentation or a collaborative presentation using Google Slides if that platform is available. The presentation could include statistics and images on what the team has learned about renewable/non-renewable natural resources. Students share findings with the other student teams. Create a Conservation Quiz to help students on the other teams learn more about your natural resource. Create an ad campaign to boost awareness about the team’s natural resource. Develop a logo, slogan and Twitter hashtag, along with tips to how to conserve the resource. With guidance by the leader, students can tweet the tips or share them via Google Slides with local energy companies or local governments. Designate a “conservation week” when all of the students’ efforts can be shared and appreciated by the entire group. 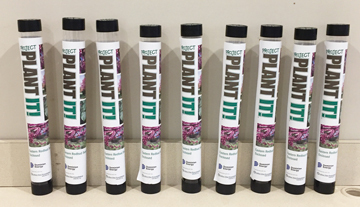 To learn more, visit Project Plant It online or on Facebook.